Finding the perfect high-performance pair of off-road shoes can be tough going, but with the S-Works Recon shoes, we've made the choice simple. Exceptional power transfer? Check. Gram-counter approved? Check. Undeniable style? You got it. With the S-Works Recon shoes, you get off-road shoes that ready for any kind of adventure, whether it's gravel, cyclocross, or XC racing. 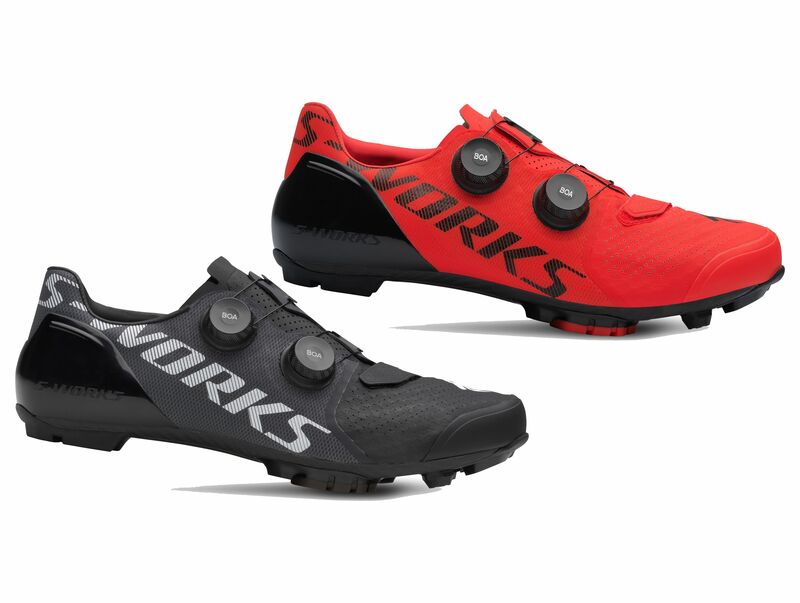 Finding the perfect high-performance pair of off-road shoes can be tough going, but with the S-Works Recon shoes, weve made the choice simple. Exceptional power transfer? Check. Gram-counter approved? Check. Undeniable style? You got it. With the S-Works Recon shoes, you get off-road shoes that ready for any kind of adventure, whether its gravel, cyclocross, or XC racing. We took a no-holds-barred approach to transferring every bit of your power to the pedals. The sole utilizes a rubber toe and heel for superior off-the-bike traction, while the pontoons are made of a harder TPU to provide excellent stability and power transfer to the pedal. A completely refined Padlock™ Heel, meanwhile, packs in more comfort with the same exceptional heel hold that you found in the previous iteration. And finally, the space-grade Dyneema™ material used in the upper doesnt stretch when pulled on, making sure that your foot stays where its supposed to. With all of these features combined, you can be sure that weve kept in line with the motto every watt is sacred. In the comfort arena, we kept all of the Body Geometry features you know and love, like the Longitudinal Arch, Varus Wedge, and Metatarsal Button. Each one of these features have been ergonomically designed and scientifically tested to not only boost power, but also to increase efficiency and reduce the risk of injury. We also took luxury into account by designing the S-Works Recon to have form that complements its function, so youll find seams that are bonded together, rather than sewn, cleaning up the lines and contouring to your foot with slipper-like comfort. The custom CNCd alloy Boa® dials add some panache, but they also feature durable spring clutch internals and precise, one-millimetre micro-adjustments that let you perfectly dial-in your fit. The S-Works Recon embodies everything we know about footwear, compacted into one shoe with no compromises, no shortcuts—just explosive speed and superior comfort. Body Geometry sole and footbed are ergonomically designed and scientifically tested to boost power, increase efficiency, and reduce the chance of injury by optimizing hip, knee, and foot alignment. Dyneema® Mesh is trapped between layers of four-way stretch mesh and TPU to create no-stretch zones for the ultimate connection and comfort. Independent alloy BOA® S3-Snap dials for on-the-fly micro-adjustment, backed by the BOA® Lifetime Guarantee. PadLock™ heel construction cradles the heel and is proven to improve acceleration. SlipNot™ rubber heel and toe tread for confident traction on all terrain with removable toe studs. Form Fit last with a roomy toe box for the ultimate in connectivity and comfort. Two-bolt cleat pattern fits all major MTB pedals. Please see below for delivery options for Specialized S-works Recon Shoe 2019. 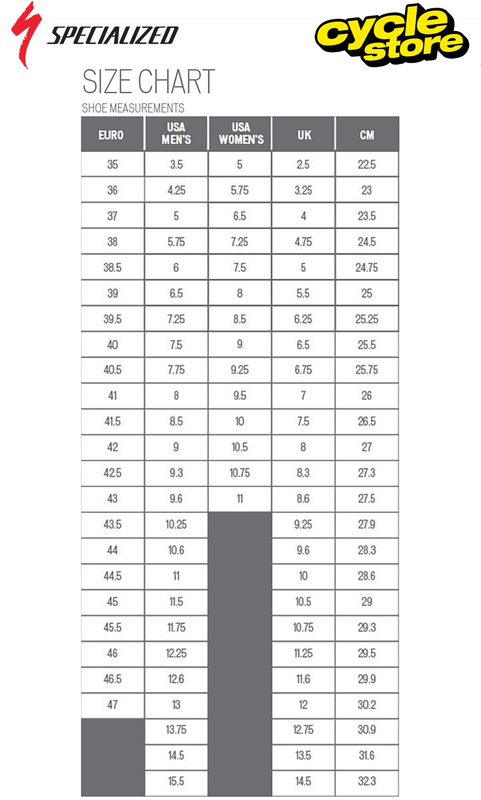 If you do not see your country listed below please email sales@cyclestore.co.uk with details of products you wish to order and we will reply shortly with shipping costs and options. We aim to dispatch your order within 4 working days at the latest (excluding weekends and bank holidays), however most orders do leave within 1-2 working days. Items in stock will usually leave the same day.If your item is out of stock we will order it in and usually have the item within three working days. Should your item be unavailable from our suppliers we will notify you of any delays as soon as possible. You will receive an email to let you know when your order has left our premises. The delivery information above is from the time of despatch not from the time of ordering. "Very good looking shoes. Only small Problem is that the shoe cleats click in less good then with other shoes. Might need some tewaking."